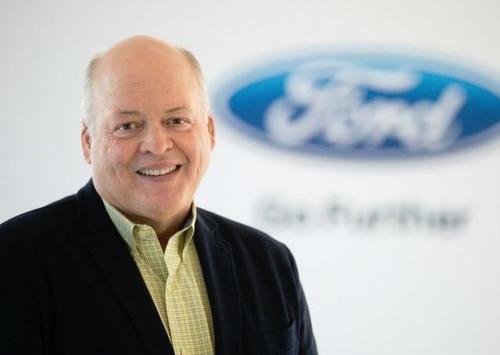 Ford's Chief Executive Officer, James Hackett, became the latest in a long line of executives to claim that that President Trump's trade war is hurting his company, and specifically that the tariffs on metals have cost Ford $1 billion in profits. He made the comments on Wednesday at a Bloomberg conference in New York City. "From Ford’s perspective the metals tariffs took about $1 billion in profit from us. The irony of which is we source most of that in the U.S. today anyway. 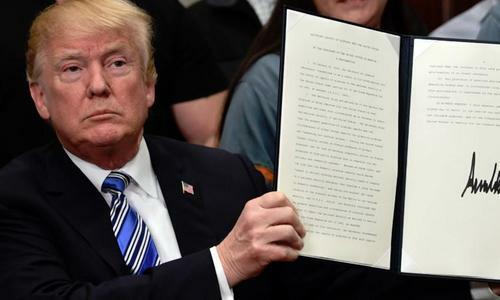 If it goes on any longer, it will do more damage," he said, and warned that domestic commodity prices could move even higher as a result of the tariffs. As has happened with home prices and with farmers, the effect of tariffs has sometimes hurt U.S. consumers and U.S. businesses. In response, the Trump administration even implemented a short term $12 billion stimulus plan for farmers who were negatively affected. One way or another, the costs of the tariffs have been passed down to consumers. And automakers in the past had warned that these costs would be passed down to consumers because the price of commodities would rise for manufacturing. The Association of Global Automakers representing major foreign automakers stated then that "the greatest threat to the U.S. automotive industry at this time is the possibility the administration will impose duties on imports in connection with this investigation. Such duties would raise prices for American consumers, limit their choices, and suppress sales and U.S. production of vehicles." The auto industry is still waiting to see if there will be a new round of tariffs following a order in May by President Trump to investigate whether or not he should impose a 25% tariff on parts imported from the European Union. Section 232 of the US Trade Expansion Act basically allows the President carte blanche to adjust imports by using tariffs "if they threaten national security". This additional tariff would have far-reaching consequences, according to analytics data firm IHS Markit. According to them, it could also wind up costing about 300,000 automotive related jobs in both factories in dealerships across the country. The EU has threatened $300 billion in retaliation for such tariffs.